Fast and furious starts destroyed some bunches right from the start, this ultimately playing into the hands of following riders. Favourable conditions for the scratch bunch riders today the group of 4 was reduced to 2 early on. Josh Haggerty and Robert Huisman set sail to charge through the field, they eventually caught the front with 25km from the finish. There were some bunches who were determined to fight on regardless. Strong rides by Ray Robby and Jeff Rooney on 2nd break as well as Anton O'Connell in break were rewarded with good final placing. 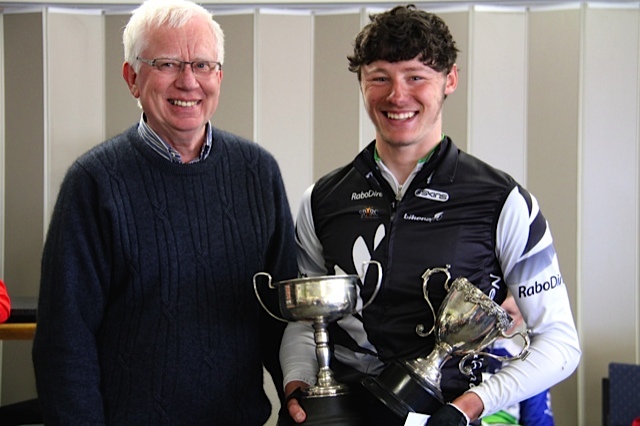 Raced in fine conditions the Curtis Dunn Memorial attracted a good field of junior riders for the 2 categories year 7-8 and 9-13. The year 7 and 8's raced 17 km from Mokotua to McQuarrie St and this race concluded with a sprint finish by the only two girls in the field with Emily Paterson prevailing over Camryn Akeroyd. 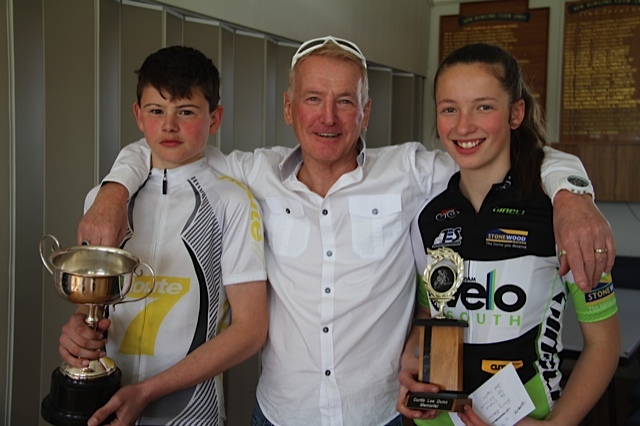 Both girls also featured in the intermediate sprint & hill climb. Hunter Gough rounded out the top three at the finish. In the year 9 -13 category Caleb Turnbull took full advantage of his front of the race handicap riding solo right to the end for a good win. A combination of the next two bunches away filled the minor placings. With Madeleine Gough 2nd, Holly Pierce 3rd, Olivia Thornbury 4th and Ronan Ferguson 5th. The back half of the field never came together, with all except the scratch bunch breaking up along the way. Brayden Stephens prevailed over Hayden Strong in the sprint for fastest time.